We are sorry for the inconvenience but due to staffing issues, we are unable to do house calls currently. With the departure of Dr. Jen, Dr. Chris has had to fill in the open clinic hours on Fridays instead of being on the road for house calls. We are activity looking for a new doctor to join us but in the meantime, house calls have been suspended. Thanks for your understanding! Paws and Co also does house calls!! As another convenience for our clients, we do preventative care house calls in the Green Bay area. There is no house call fee, but we do have a $100 minimum for the house call! Just call us at 920-471-0643, or fill out the form below to make an appointment! Please fill out the below form to request a house call. Once we receive your request, a staff member will give you a call by the end of the next clinic day to go over your request and finalize the appointment. Your appointment is NOT finalized until after this conversation with our staff. 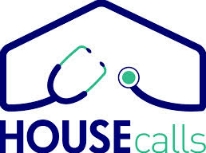 Please note: We do NOT do house calls for medical issues, only vaccines/preventative care. If you have a medical issue, please call to make an in-clinic appointment. For fees of services and products, click here. House calls are for preventative care only, we only see medical issues by appointment in the clinic. We do not see vicious animals. All aggressive animals must be muzzled before our Dr. enters the house. The Dr. has the right to not proceed with the appointment if your dog or cat is acting too aggressive or vicious and you will still be responsible for the house call minimum. There is a $100 minimum per location for the house call. The $100 minimum applies after all coupons, deals, and specials have been accounted for and before any travels fees are applied due to distance. In other words, even if you have a coupon or there is a special, the house call final bill will not be any lower than $100. Travel fees are not included in the minimum and will be added to the minimum. For areas outside a 10 mile radius of our home office, there is an added travel fee of $1/mile one-way calculated from our door to your door. There will be a $100 fee billed to you if we arrive and no one is home or you are not able to proceed with the appointment. HW/Tick testing or Felv/FIV testing requires a blood draw. If you are not able to hold and restrain your pet for the Dr. for this procedure, please let us know at time of appointment scheduling so we can prepare. Failure to do so will result in us not being able to proceed with the testing and if we have to come out a second time, the minimum will apply to both visits. We accept cash, debt cards, Visa, Mastercard, and Discover. NO CHECKS!